It seems three is the magic number for Subiaco. Notching up their third win of the season, the Lions’ gritty win against West Perth was decided by less than a kick in a heart stopping three point thriller. In fact, it was this Subiaco victory which knocked West Perth from third spot into fourth on the ladder. A seesaw like affair, both the Falcons and Lions dominated for significant patches throughout the game, making it never quite clear who would walk away with the four points. Kicking off proceedings, the Lions came out firing with an unanswered three goal haul to open the Saturday night clash at Leederville Oval, with Captain Hayley Miller wasting no time in the opening minutes to nail a set shot to make her mark on the scoreboard after winning a tug of the jumper free kick. West Perth instantly found themselves with some soul searching to do after only managing to score a single point at the first break. And soul searching they certainly did. Virtually catapulting themselves into the lead, the Falcons hit the start button on a pattern of unanswered goals in the second term. Kicking the next four goals, they found themselves up five points at the main break. The Falcons’ dominance was certainly short lived, as the lions convincingly looked home by kicking four of the next six goals amongst the wet conditions. Clawing their way back to just three points, the Falcons’ Danica Arnold won a free kick from a push in the back decision only metres out from goal. As mother nature chipped in with an outpour of rain, she kicked truly and there was less than a kick in it. With only seconds to go before the final siren, Ellie Hansen did her best to push West Perth forward and clear the ball to run inside 50 toward goal, but ran out of time. Former Fremantle Dockers co-vice captain Amy Lavell reminded spectators of her poise, class and accuracy in front of the big sticks by finishing the match with a telling three goal haul. Lauren Stammers (Subiaco) and Tyhara Garlett (West Perth) also got in on the multiple goal scoring action, kicking four between them. Just two wins outside the top four, the Lions will carry momentum going into this weekend’s clash against Claremont as they look to claw their way up the ladder. 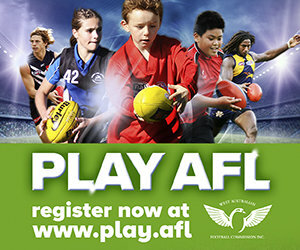 On the other side of town, the Falcons will be hungry to rectify the loss in their meeting with Subiaco again in a fortnight at Joondalup Arena. 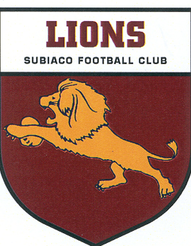 Subiaco: Amy Lavell (3), Lauren Stammers (2), Tiah Haynes, Hayley Miller. West Perth: Chloe Metcalf (2), Tyhara Garlett, Ann Mcmahon, Danica Arnold, Ellie Hansen.